There are a lot of moving parts involved in keeping your garage door functioning. As parts wear out, you must fix or replace them to keep your door running at peak performance. Here's everything you need to know about why garage door springs break and the steps you can take to help maintain them. Springs are a vital part of your garage door opening system. They provide the tension needed to lift your door and allow you to exit and enter your garage. Because the springs are in constant use every day, it is common for homeowners to need garage spring repair in Fort Lauderdale. Over time, normal wear and tear cause spring to weaken and eventually break. It is a good idea to be on the lookout for signs of deterioration so you can address the problem before the springs fail. What Springs Do You Have? 1. 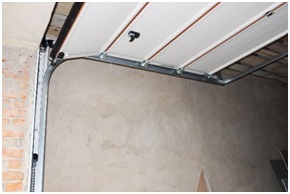 Extension springs: These garage door springs work by expanding and contracting with the assistance of cables and pulleys when the door is opened. They're usually mounted on either side of the garage door track. 2. Torsion springs: These springs are located horizontally on a steel shaft and are wound very tightly. They use tension to open and close your garage door. Knowing which kind of garage door springs you have is useful, as you'll know what you're looking for if you ever have any issues with them. It's also good to know this information if you ever need to call for garage door service in Fort Lauderdale as you can give the service technician a more detailed description of the problem. Wear and tear: In most cases, the reason your garage door springs are breaking is simply that they've reached the end of their life. Most springs are guaranteed for around 10,000 door opening cycles. While that sounds like a lot, you'd be amazed at how quickly you can go through that many cycles. Before you know it, you've gone through them all, and now your springs are worn out or even broken. Rust: Rust is a common problem with springs, and it drastically reduces their lifespan. When spring gets rusty, the rust increases friction when the coil is in use, as well as weakens the structure of the spring. This means that springs are more likely to break while they're in use if you let rust build up. Lack of maintenance: If you're not paying attention to your garage door springs, you won't notice when they are beginning to break down and near the end of their life, making it much more likely that the spring will break and you'll need to have it replaced. Taking good care of your garage door springs allows you to get more out of them before they need replacing. The best way to get the most out of your springs is to perform regular maintenance. This doesn't take much time, but it'll give you a better handle on how your springs are holding up, and help you to decide when to replace them, rather than waiting for them to break. Three or four times a year, lubricate the springs along with any other moving parts on the door. This ensures that they're moving smoothly and protects them from rust. You'll also want to inspect the springs regularly. If they're still tightly coiled and wound up, they're in good shape. If they're starting to look loose, you should look into replacing them. If you're not sure about how to maintain your garage door springs, or you need to have them replaced, it's worth calling a garage door repair company. They'll help you get them swapped out for new springs when their time is up. While some people try to replace the springs on their garage door by themselves, we don’t recommend this as working on a garage door can be very dangerous if done incorrectly. 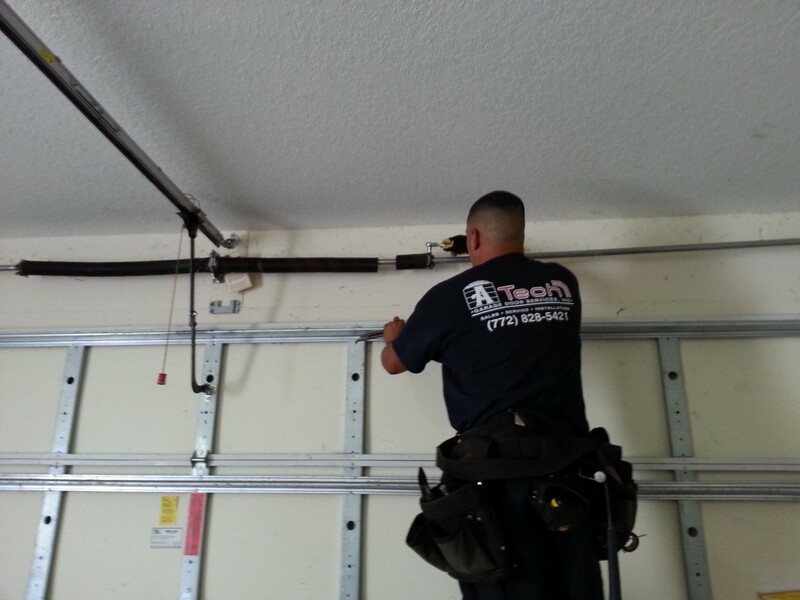 Calling a professional to do the job for you is a much safer and more practical way to have your garage door repaired. Having well-maintained garage door springs is essential. Without them, your garage door won't work effectively. Keep the springs maintained and call in help when you need them repaired. Taking care of the springs will keep your garage safe and secure. 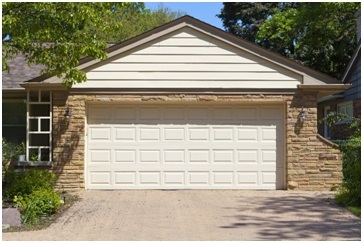 Repair or Replace – What Should You Do with Your Aging Garage Door? So, you’re having issues with your garage door in Miramar, and you have one huge, important question: should you repair it, or flat out replace it? 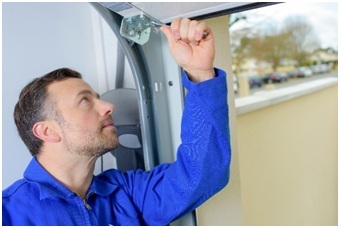 Naturally, you should call for garage door service in the event there is a problem, but the question remains as to which course of action you should take. Any good Miramar garage door service company will tell you that there are two different types of garage door problems: cosmetic and structural. Let’s take a closer look at each one. It is very possible that the garage door you currently have just isn’t the best match for your home. If you have a modern home, for example, a traditional white aluminum door just isn’t going to do it for you. Glass and steel models have a better modern aesthetic, or your home might look better with the rustic look that comes with a wood-paneled garage door. If you feel that the aesthetic issues with your garage door simply cannot be fixed, it might be in your best interest to replace it and increase your curb appeal at the same time. If you are making plans to move anytime soon curb appeal is key to an excellent home selling strategy! Structural damage to your garage door may or may not be something that you can fix. Some of the most common causes include severe weather, temperature changes, or even physical damage resulting from accidents. Certain types of structural damage cause the door system to work extra hard; for example, a warped door could damage the track as it moves up and down. These are problems that you want to address immediately and while it might seem like irritation and extravagant expense, replacing your garage door can actually present you with some outstanding opportunities. 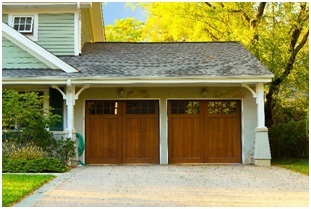 Garage door repair should benefit you in both the long term and the short term. In the short term, you will have a better-looking garage door and one that works. In the long term, you will find that it’s a great way to increase your property value. Remember: it’s all about curb appeal, and the right garage door can bring your value up significantly giving you the return on investment that you want. As always, you should be looking for the telltale signs that your garage door does need replacement, from loud noises to delays in opening, and even some of the more prominent signs such as loose springs or track that looks uneven. A good rule of thumb with garage doors is: if you think you see a problem, investigate it. The last thing you want is a fully broken garage door and the potential damage that it can bring. Prevent accidents, property damage, or injury by paying close attention to your door and most importantly, by calling in professional Miramar garage door repair specialists. Now that you know more about replacing and fixing your existing garage door make sure you check back next week for information on replacing the weather stripping to keep air from escaping your garage. Your garage is your first line of defense against the weather, ill-intentioned individuals and most importantly, a rising energy bill. Keep yours in great shape! The importance of proper weather stripping for your garage door is something that cannot be overstated and for a good reason. What many people fail to realize is that without it you could have a serious energy problem and a power bill you can’t contend with. Let’s start by talking about the potential for energy loss which comes from multiple points in your garage. It all starts with the walls and if they are not properly insulated, cold and heat can radiate through the drywall material, causing you to waste energy. It might only be a little bit at a time, but it adds up and will make you wish that you’d acted sooner. The same goes for your garage door seal; while the door does close, there is always a little bit of a gap, big enough to allow air to both escape and enter. Your garage will not only be colder or hotter, depending on the season, it will also cost you more money than it should, and that is simply not acceptable. This is where any garage door service in Weston will tell you to invest more in your garage door seal. If you have ever examined your garage door closely then you may have seen the rubber strip affixed to the bottom – this is the weather strip. It is designed to protect the space behind the door from weather, leaves, and other debris that could sneak in through that tiny gap at the bottom. Weather strips are available in different styles which we will talk about in the following paragraphs. Bulb Seal–A common type of seal which has a circular bottom and a T shape at the top. Beaded –These are also t-shaped, but they are used as double channel retainers. T-Type –Much like the beaded seal, they employ the T shape on both sides and are double channel retainers. In the case of commercial doors or even some residential doors, brush seals are very popular. They can seal up gaps just as easily and are typically found on high-speed doors. Brush seals consist of thousands of filaments placed closely together to create a solid barrier; their greatest benefit is that they can conform to virtually any surface, giving them a leg up on practically any other seal on the market. You will also find that, even though they are more expensive than their rubber counterparts, they also tend to be more resilient. The type of seal that you use for your garage door is ultimately up to you, but it is imperative that you do choose one. 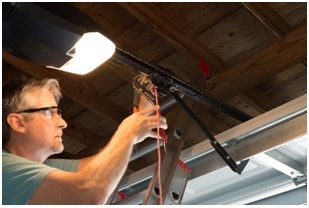 Most overhead garage doors today come standard with bulb seals. As with any other part of your garage door, it is imperative that you regularly check your weather stripping to see if it is cracked, dry, or even coming loose from the door itself. The great news is that this is the most visible part of the door and it is also the easiest to replace. 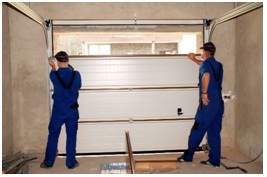 A good garage door repair company in Weston can save you a lot of money and frustration. Now you know about weather stripping and a few of the different types, but what about the mechanical garage door systems? What do you need to know about them? In our next blog, we’ll be looking at three critical garage door systems that always fail first, and what you can do to make sure they don’t catch you by surprise. A garage door is far more than just a door; it is a device for your home that is built on a number of different systems all of which can fail. Today as your certified Davie garage door repair professional we’re going to walk you through three of the most important systems which are, ironically going to be three that fail the fastest if you don’t pay close attention to them. 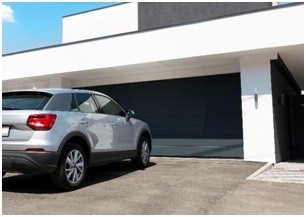 One of the most common fears among garage door owners is that the door itself will lower and smash into their car or even an unsuspecting person. This fear is quelled significantly by the sensors located at the bottom of the door which create an invisible, horizontal light beam. If anything breaks this be a min anyway, the garage door ceases to function, making your garage a much safer place for everyone. The problem is that in many garages the sensors tend to become broken or misaligned on a regular basis. Homeowners often use the space in their garage for storage and may place items that bump or block the sensors, among other things. Additionally, these sensors are very low to the ground and can easily for kicked accidentally or become covered with debris. Despite this knowledge, many homeowners forget that a malfunctioning safety sensor can bring the whole door down. You can attempt to fix this problem by removing debris or making sure the sensors are straight, but some problems will call for Davie garage door repair services – make sure you recognize the difference. Debris –Dirt, leaves, and other buildups can work its way into your garage door track, causing the rollers to jam and eventually break. Catching the problem early on will save you a lot of trouble. Warping –The track may seem sturdy upon installation, but over time it can warp, causing your garage door to work unnecessarily hard and eventually even stop functioning altogether. In these cases, you need to call for the aid of a garage door repair contractor in Davie to make sure that your track is even and ready to face the season ahead. While this is not a comprehensive list of everything that could go wrong with your track, it should give you an idea of what you’re looking for. Check the Batteries – A garage door remote runs on batteries, so change them out before you declare your device dead. Program the Remote – You must program your garage door remotes in order for them to work properly. If you find that yours seems to be failing, it is a good idea to refer to your owner’s manual and see if you need to sync them again. As you can see, there are a lot of things to question in terms of garage door functionality. 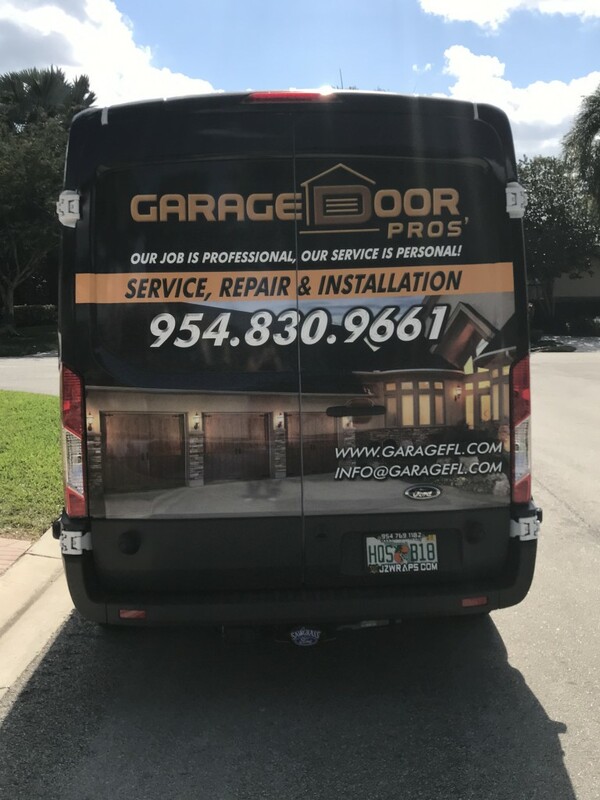 It is crucial that you speak to a professional regarding garage door service in Davie and that you watch out for some of the most common warning signs. Now that you know a little bit about the common systems that fail in garage doors come back next week to learn how to choose a door for your modern home. Lack of Insulation – Because so many people spend very little time in their garage, they believe that insulation is a moot point. In some cases, they are right, but this assumption can lead to air leakage that will serve to drive your energy bill up and your happiness down. Weather Stripping Issues – If you have not dealt directly with garage door issues you may not be familiar with weather stripping. This is an important part of your garage door whether you realize it or not and there are far too many homeowners who use lower quality strips. In the next few paragraphs, we’re going to talk about weather stripping and why it is an essential component of your garage door. When you first install your garage door, there is a very strong chance that someone may try to rope you into using lower quality weather stripping. That person may be yourself. Yes, it will save you money on installation costs, but in the long run, it isn’t going to save you money on your heating bill,and it will not give you the peace of mind that should come with having a garage door on your home. A good garage door installation or repair company in Hollywood will use TPE based weather seal, which stands for Thermal Plastic Elastomer. This solution remains flexible, unlike others that begin to harden and eventually crack over time. You have no doubt seen garage doors where the weather strip has not only cracked but has somehow managed to become detached and is dangling every single time the door opens. Don’t be one of those homeowners that leave the weather strip hanging for years on end hoping that it will fix itself. While the climate in Florida remains relatively stable year-round a good TPE seal will stay flexible regardless. For example, most of these strips maintain their flexibility down to 52°F, making it an optimal choice for an area like Orlando and Hollywood where we don’t see sub-freezing temperatures. In colder climates, however,some companies use double-lipped weatherstripping on the outside of the door to protect it from temperatures that go down to ‑15˚F. At the end of the day, there are plenty of ways to protect your weather stripping and by extension, your garage door. If you want to keep your garage door protected and ready to face the upcoming season here in Hollywood, the best thing you can do is call for professional help. 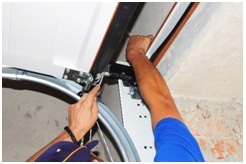 Garage door repair experts not only complete the installation but also ensure that it is done properly. Obtaining the weather stripping is no problem as it is normally sold by the yard at nearly any home improvement store, but the trick is making sure it is attached properly and that it will stand the test of time. Here at Garage FL, we have been in the business for many years and are more than capable of making sure that the installation not only goes well but that it will last. At the end of the day you are looking for solid, high-quality materials that will make a huge difference in the way your garage door handles the climate, and weather stripping is only a small part of that. Insulating your garage, insulating the door itself, and taking other measures to seal the heat in will go a long way toward ensuring that you are not only comfortable when you stand in your garage, but that you are comfortable when you receive your energy bill. Want to know more? Join us next time when we’ll have some seasonal garage door tips for you to keep that money-saving momentum going into next month, and beyond. Garage Door Lubricant – How Do You Know When to Use It? When you’re heading home from work in Weston, and looking forward to a relaxing, stress-free night the last thing you ever want when you pull into your driveway is to have your garage door suddenly fail. There is nothing more frustrating than not being able to get into your home after a long day,and there are so many ways that it could play out. Maybe the door is screeching, maybe it is groaning, maybe it seems to be doing nothing at all. No matter what the situation, you need to correct the problem as quickly as possible. However, you can prevent this situation altogether by performing a little preventative maintenance. In our previous article we talked about the different maintenance tasks you can perform,and while we mentioned lubrication, we didn’t really expand on it. We want to do so now.However, before we get too far into that, we want to point out the importance of paying attention to the signs. There are plenty of warning signs that indicate your garage door needs fixing, for example, loud noises or jerky operation. Don’t make the mistake of dismissing these.If possible, lubricate your garage door before these issues crop up, and if you miss the signs and do encounter problems, don’t hesitate to call us for professional garage door repair. How Should You Lubricate Your Garage Door? Contrary to popular belief you do not need to lubricate your garage door track; you can simply clean it and make sure that it is clear of debris. This small gesture will help your other garage door components operate smoothly and without damage. No, we’re not talking about that time of year where you clean your entire house, although that time of year is almost upon us. The springs in your garage door control the speed at which it moves up and down and also keep it from plummeting to the ground when you stop it halfway. Torsion springs are responsible for lifting your door each time you use the opener and since they do so several times per day; you can see how they would begin to wear out. A few drops of lubricant can really go a long way! Once you are done,you should take care to clean up the excess lubricant. Between each panel, in your garage door, you will find hinges,and they need lubrication as well. If you have plastic hinges, however, keep in mind that you should not lubricate them as this will simply cause them to break down. After applying the lubricant to your door you must make sure it is properly distributed and by this, we mean you should lift and lower your garage door a few times. Noise is a good determination of whether you have adequately distributed the lubricant; excessive squeaking or grinding indicates an area that needs a bit more, so follow the sound and add as needed. One of the biggest problems that Weston garage door owners have with lubrication is knowing what to use. In the case of most moving parts people use WD-40 but, in the case of your garage door, this would be a mistake. Instead, you should try using a silicone or lithium-based spray as this will ensure that your parts do not attract dust which would cause the garage door to seize up later on. Heat Resistant –In Florida there are many things that you can count on year-round and heat is one of them. White lithium grease can resist the heat whether it is a result of the environment or of friction from the garage door itself moving up and down. Weather Resistant – The weather can be unpredictable in Florida; one day it might be perfectly clear,and the next might bring a storm. 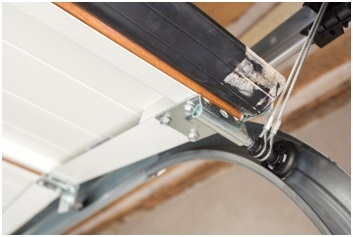 Keeping your garage door hinges and rollers protected is a great way to ensure continued operation. Lubrication is simply a matter of basic garage door maintenance and something that you need to work into your regular plans. Always pay attention and listen to what your garage door is doing so that you know how and when to maintain it properly. Doing so will extend its life considerably! Now that you know how to keep your garage door lubricated, feel free to join us on our next post where we talk about choosing the right garage door for your home. The time has come: You need to choose a new garage door,and you’re not sure how to go about it. One thing you know for sure is that it has to be done correctly as the garage door has become one of the most important parts of a home’s façade. Ultimately, they all perform a similar function but, their appearance will instantly boost your home value. Today, you need to focus on selecting an absolutely beautiful but also functional garage door, and there are a few factors that you should take into consideration when you’re shopping. There are a few different choices, as you already know, but what are the pros and cons? What should you really be going for? We’re going to take a moment to go over a few of the different material types to help you decide which direction you want to go. Most garage doors that you see today are made of aluminum and for a good reason. Did you know that aluminum requires very little maintenance if any at all? That’s because it is highly resistant to rust, salt, and even humidity. These three factors alone make aluminum garage doors the optimal choice for individuals who live in Florida. The primary reason that homeowners choose steel over aluminum is the advantage of strength that it has over other materials. Steel can withstand strong winds and is even resistant to physical damage. The big problem, however, is that if it is scratched or even dented it can start to rust if not treated immediately. If you think about it, you don’t often go out and look at your garage door which can make it easy to overlook small areas of damage until it is too late. While there are in fact many doors made from wood, there are just as many that are created using a veneer instead. Veneers are an overlay that looks like wood but comes at a much lower cost than a full wood door. Veneers doors also last longer which makes them the preferred alternative for nearly anyone that wants the wood look but doesn’t want the responsibility. If you do choose to go with wood,you will have to deal with painting, staining, and potential damage. This is a popular choice among homeowners because it can turn into anything you want. Fiberglass is available in both wood and metal style designs, and while it does cost more than metal, it costs much less than solid wood. The biggest drawback is that it can be damaged easily when hit, but it gives you the best of both worlds. How Do You Choose a Style? There is no one ‘right’ answer when it comes to choosing a garage door. In the end, you need to choose a good style that complements your home. Take the traditional home for example; you might want a garage door that simply blends in, but if you have a modern home it might be in your best interest to choose something made from glass or steel. The style possibilities are endless, and so are the color options for your garage door. However, color coordination is key,and if you are at all unsure about your matching skills, you should enlist the opinion of a designer or a garage door professional. Finding the right door can be difficult, but you do need to make sure that you spend some time on it to ensure that you get the result you want and a door that you can be happy with. Changing out your garage door could come as the result of moving into a new home, replacing it after many years, or preparing for a new build. No matter what the circumstance happens to be, you have lots of great options at your disposal; start looking into them now and make sure you have an amazing door that fits the style of your home. While it might appear to be a very simple element of your home, your garage door can be a bit of a complex beast. There are a few things you need to do to make sure that your garage door is in working order and one of the most important is identifying some of the common problems. Today we are going to examine some of these issues in depth to help you understand your garage door better and keep it in the best working condition. However, you should remember that calling for Tamarac garage door repair professionals is sometimes the only option you have. Check the Battery – Yes, garage door remote batteries can die, it just takes years sometimes. If possible, change the battery in the remote and try again. Try Another Remote – It is always possible that your remote is bad and if that is the case, try your backup. If it works, you have identified the problem. 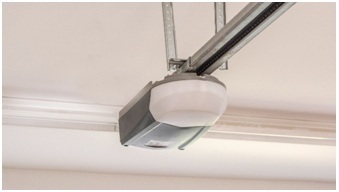 Try the Manual Button – You have a manual garage door opener mounted to your wall; use it. If you press that button and it works, then you definitely have a problem with your remote. Assuming that none of these fixes work, you may have an electrical problem,and there is no shame in calling garage door repair professionals in Tamarac to come to check things out. The Door is Stuck – Now What? Assuming that the door is being held back, you might look into the close force safety mechanism. This is a sensor that can detect if the door is requiring more force than usual to close. This is normally an easy fix as you can change the door force by twisting a knob on the opener itself. Keep in mind that while you could reduce this number to zero, it is best to speak to a garage door repair professional in Tamarac to prevent damage to your door, track, car, or even yourself.While it can be a nuisance, especially if the difference is negligible the design of this sensor is meant to preserve the integrity of the door and prevent safety issues. Sometimes the problem might be as simple as pulling debris out of the track. Other times it can be much more complicated, and you will need to contact an experienced garage door repair company here in Tamarac. If you don’t already know quite a bit about garage door springs, and how often people get injured by them, here is a little research, as we’ve posted a few blogs on them,but there are also cables that can break. It takes years or even decades for this to happen, so the older your garage door is the greater the chance you will have a broken cable or spring. Bent sectional panels in your garage door are the most obvious problem and probably the most alarming. Maybe you backed out of your garage too quickly,or the weather could have simply warped your door. Either way, if the curvature of your garage door has changed, you will need to correct it before the track becomes bent and creates a safety issue. In fact, if you have a bent panel, it might just be time to replace the entire door. These common garage door problems can throw a wrench in your plans and may require a professional repair job. If you find that maintaining your garage door is too difficult to manage or that you simply cannot find the problem, don’t hesitate to call for professional help; that’s what we are here for and honestly, fixing your garage door issue could be more important than you think! Prevent the biggest problems and preserve your safety, and let us give you a garage door tune up today. Tune in for our next post where we talk about preventive maintenance and what you can do to make sure your garage door stays intact and functional all season long. Having a garage door is a responsibility that requires some work. What many people don’t realize is that there are certain maintenance routines you should carry out, and eventually you will need to hire a garage door repair professional here in Miramar. Below you’ll find our comprehensive garage door repair checklist – a necessity for any homeowner. Is it making grinding noises? When you look at it, do both sides appear to be symmetrical? On the third point, make sure you’re looking at the springs, pulleys, and cables as a malfunction with any of them could bring your door crashing down. If you notice any of these abnormalities, you should contact the garage door repair experts in Miramar to take a look at the door and prevent catastrophe. All garage doors have one thing in common: they move up and down a lot. Your garage door may complete this cycle thousands of times every single year,and ultimately that is a lot of vibration that can potentially loosen hardware. Multiple screws, bolts, roller brackets, and more hold your garage door together,and if you notice any of them coming loose, you should use a socket wrench to set it right. We strongly recommend that you preemptively tighten your bolts every three months just for good measure! As you visually inspect your rollers, you should look for any cracks, wear, chips, or even bent rollers. If you find any of these issues, make sure you call for a garage door repair professional to fix it and return your door to peak performance. While you should examine the rollers routinely, you should hire a professional inspection twice per year and full roller replacement once every seven years – this goes for both steel and nylon rollers. Your garage door has a lot of moving parts, and they all need lubrication. If you can keep all components greased properly, you will give your garage door many more years of operation, and that’s what really matters. The most common type of lubrication is white lithium grease which you can apply to your screw, chain, and other parts. You can purchase this lubricant as a spray from a garage door specialist in Miramar, or you can arrange to have it applied for you if you are unsure or uncomfortable about the process. Garage door balance is more important than most people think; without proper balancing, the door must work harder to open and close which means more strain on the garage door opener unit. This ultimately leads to parts wearing out faster and you replacing the opener sooner than you would like. 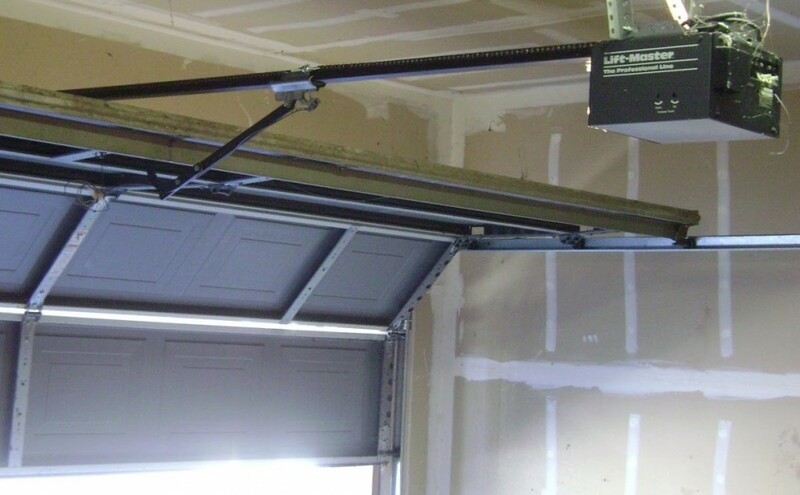 The best way to check if your garage door is out of balance is to pull the release handle and manually move the door halfway up; if it doesn’t stay in one place, the counterweight springs are not balanced correctly. Remember: While you can identify the problem on your own we do not recommend that you try to fix it yourself but rather seek out the help of a professional to perform the repair. 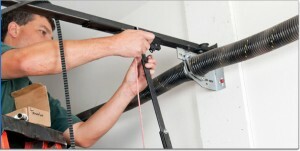 Spring adjustment is very difficult, and it is easy to damage your garage door track when handled improperly. When we talk about weather stripping what we’re referring to is the rubber strip affixed to the bottom of your garage door. If yours is brittle, cracked, or hanging off, you need to replace it as quickly as possible. This is a fairly easy fix. The necessary replacement piece is sold at most hardware or home improvement stores and can be installed by your garage door repair professionals in Miramar. Finally, make sure that you are constantly checking the tracks. Dirt and other debris can find its way inside,and when that happens, it can obstruct the rollers, making it very difficult for the door to move up and down. It is important to clean any debris and obstructions or seek out professional help to get the job done. These seven items can help you to have a better garage door experience and reduce your costs when the time comes to call for professional repairs. Follow these steps every year for best results and check back next time for our blog on garage door lubricant and how to use it.